Learn more about logistics and how to draw logistics flowchart with professional flowchart software. Are you still confused about logistic and do not know how to draw a logistics flowchart? Are you still looking for a professional flowchart software to help you solve this problem? Then this article will be good news for you. Following are three main parts of this article. First part is the definition of logistics and logistics flowchart. Second part is steps to draw a logistic flowchart? The final part will introduce the professional software to draw a flowchart. Logistics is the integration and management of the product value chain from suppliers to the customer. It covers all aspects of production chain, including design, suppliers, financing, information, energy, transportation, distribution, and sales. It also manages the whole process in order to prevent the tying up and loss of valuable capital. 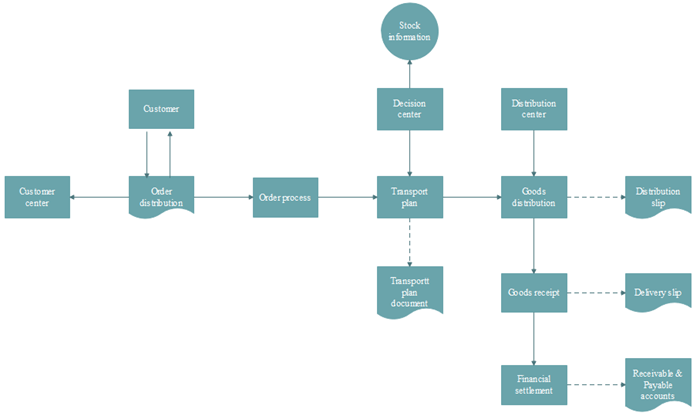 And logistic flowchart is a diagram to describe the systematic flow of the whole process from the suppliers to customers. Find out the staffs or departments involved in the process or function, and listed them on the page. List the steps in the process through brainstorming. Connect the steps with arrow according to their correct order. Discuss to improve and perfect the flowchart. With this clear logistic flowchart, you can easily understand the whole process of logistics and know the function of each step.Below is a simple example for you. Professional flowchart software should be equipped with following features. Firstly, it should be easy to to use. Secondly, it should have made everything ready. Thirdly, it should have an abundant symbols library and templates library. And the software this article is going to introduce is Flowchart Maker. It is an all-in-one cross-platform diagram software and perfect for professional-looking flowchart. It definitely has above three features. Flowchart maker is very easy to use, no matter you are a new hand or an experienced flowchart designer, you can get started quickly. And it has similar interface with Microsoft, so you do not need to get used to a new interface. 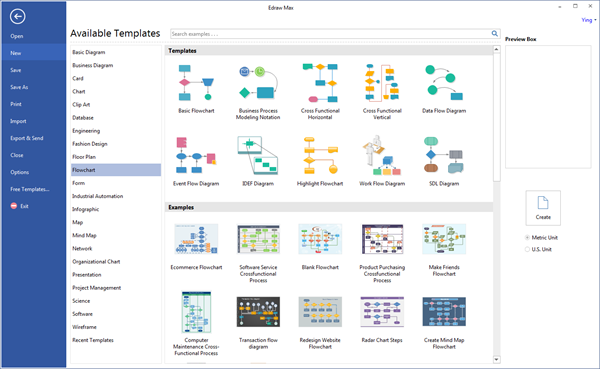 It has lots of built-in flowchart symbols and templates, you do not need to do much, just click your mouse, drag and drop some symbols and templates, a professional-looking flowchart will come out. Following is another flowchart template for your reference.